Upgraded Toukiden due out this year in Japan. Following recent trademarks, Tecmo Koei confirmed Toukiden Kiwami for PS Vita and PSP in this week’s issue of Famitsu magazine. 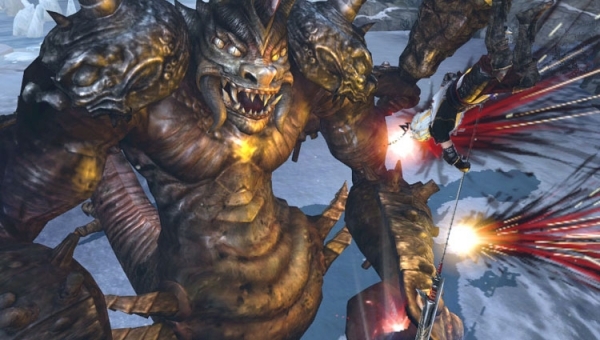 The game is an upgraded version of the original Toukiden, and features a new demon called “Imihayahi” that appears three months after the events of the previous game. The game will feature added equipment, a new NPC character, firearm weapons, more armor and spirits, double the amount of demons, more special moves, and increased customization. The story is about the same as the original game. Toukiden Kiwami is due out in 2014, and is currently 50 percent complete. The PS Vita version will cost 5,800 yen at retail and 5,143 yen via download, and the PSP version 4,800 yen and 4,286 yen.